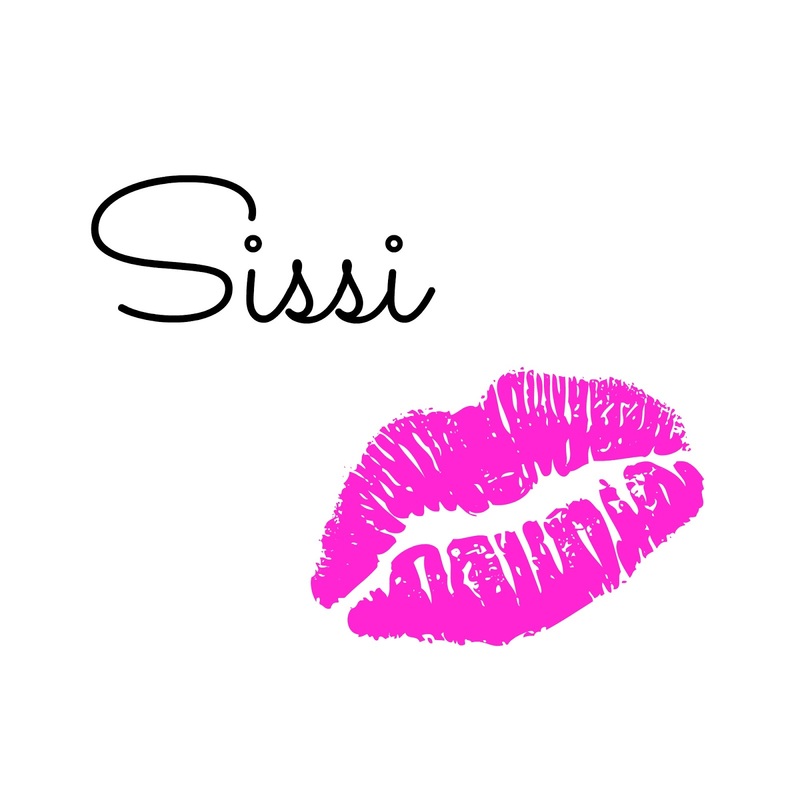 I´m always excited when I see a new cruelty free, yet affordable makeup brand! 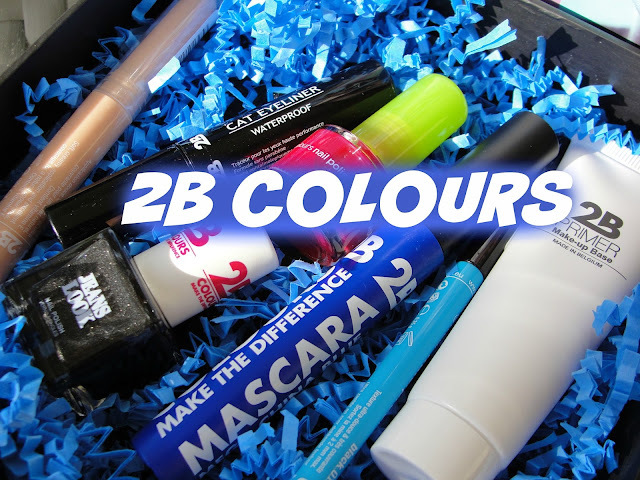 And here is a new brand from Europe: 2B Colours! 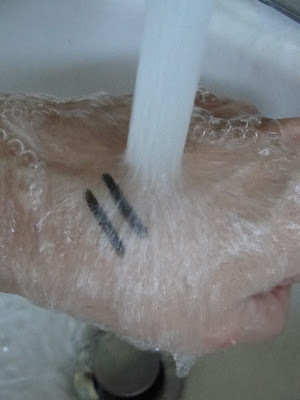 Let´s get right away to my review or watch my YouTube review instead. 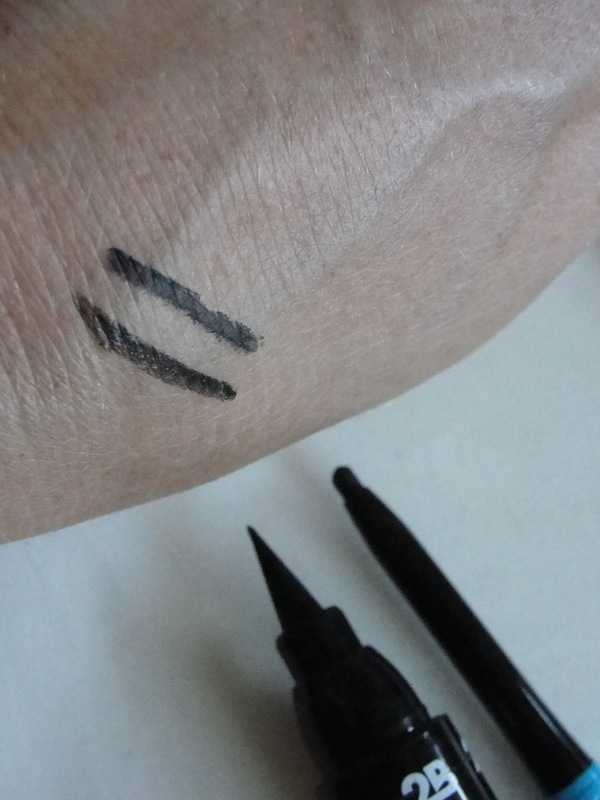 I thought the 2B Colours Eyeliner is gonna be a turquoise color but it is black! 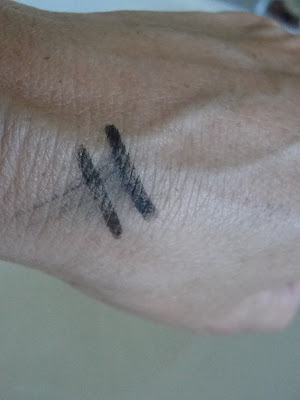 ;-) It is super soft and the color payoff is fabulous- really dark black. 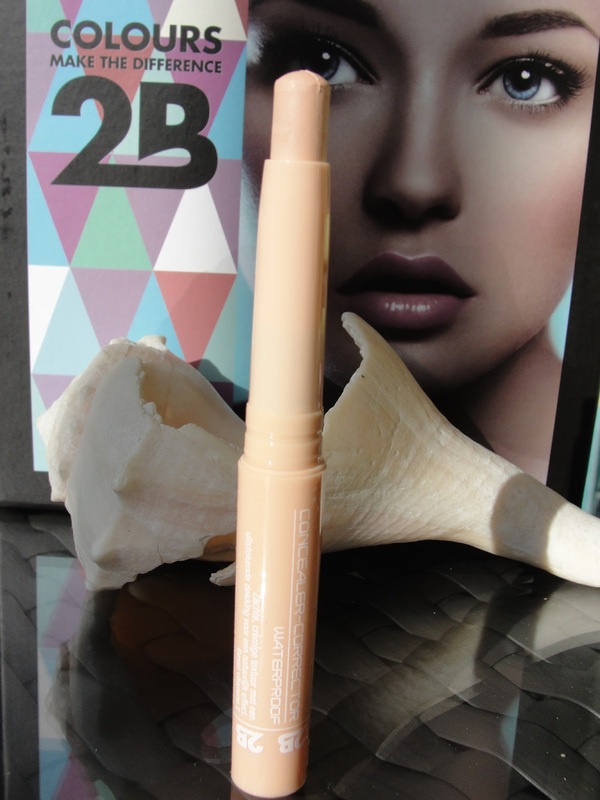 I love to use this to tight line my upper lash-line. 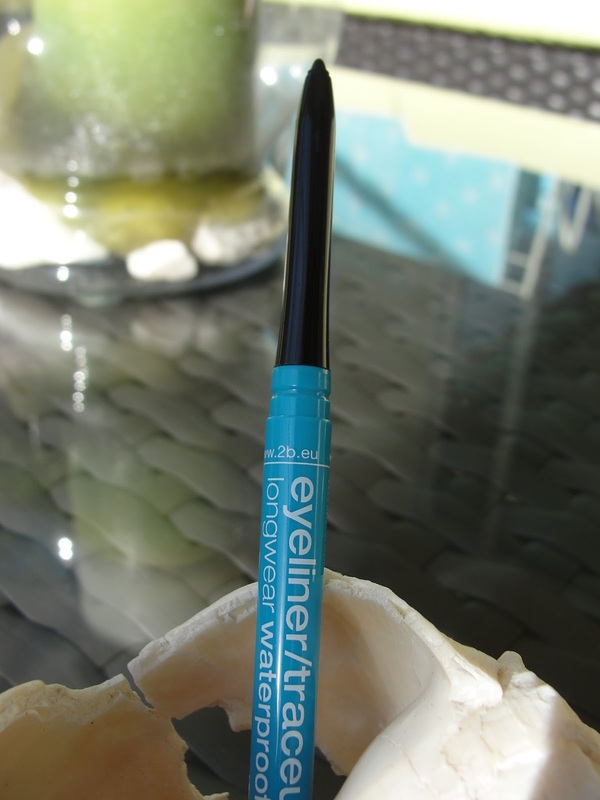 I love retractable eyeliner because you don´t need to sharpen them and they never get small and vanish in my makeup bag! I´m the first to admit that I still haven´t mastered the perfect winged cat eye but I must say: the 2B Colours Black Cat Eyeliner is a great tool to learn it! 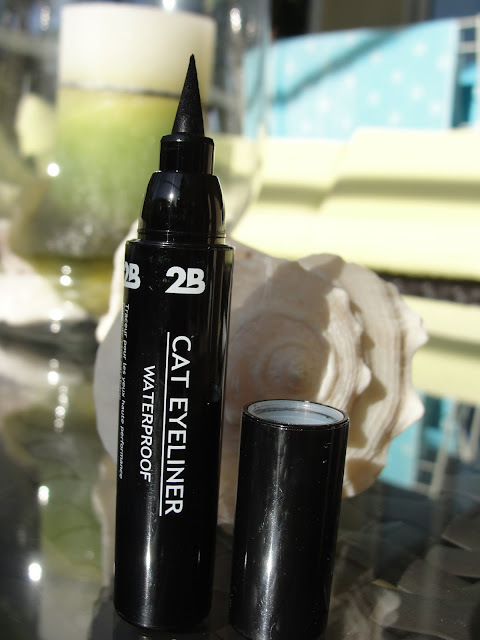 The felt tip gives me security and I have gotten so much better in achieving that cat eye! 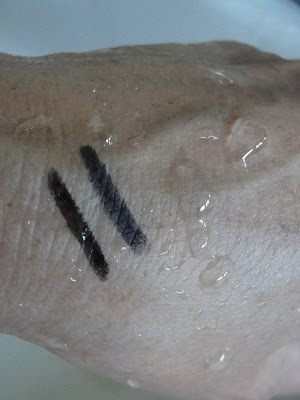 Both eyeliners claim to be waterproof, so I tested it out. Well: it is true as long as you do not touch it! It is waterproof if you can keep your hands still and don´t touch your eyes (which I can´t lol). 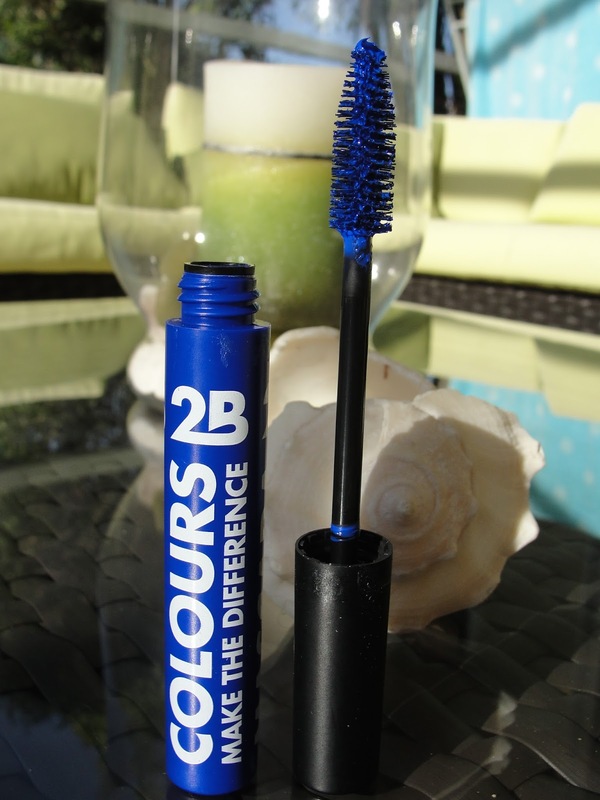 At first the 2B Colours Make the Difference Mascara scared me because it is blue. I thought I might look like from the 80s but somehow the 80s are back - just cleaner and prettier. 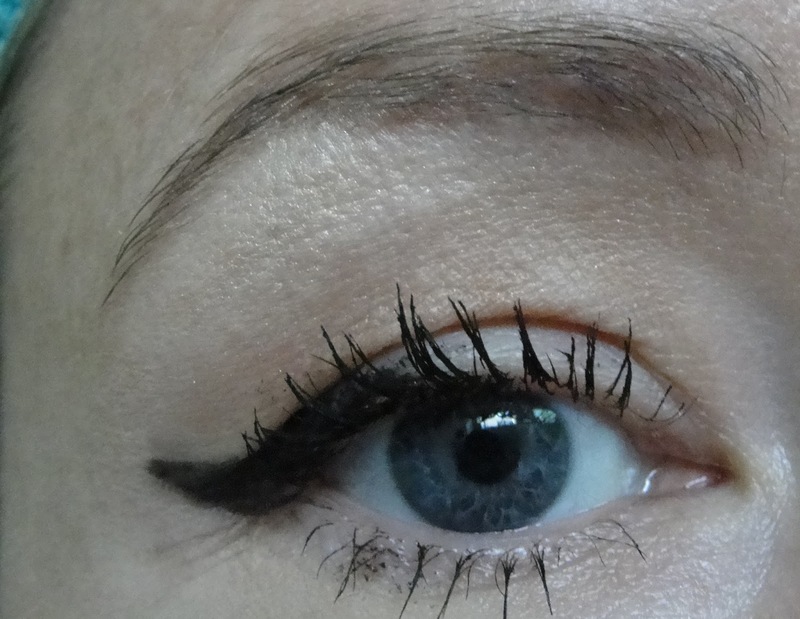 The mascara wand is really nice: super smooth and fat! The consistency of the mascara is nice and creamy. From far you wouldn´t even know I wear blue mascara- it just enhances my eyes. It really looks nice! 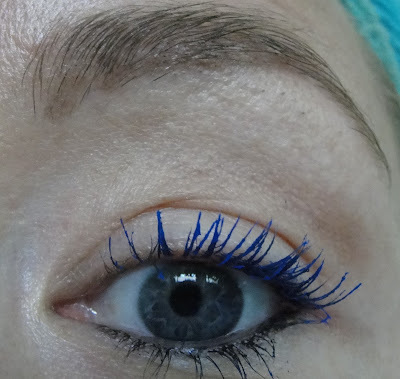 I especially love to wear it only on my lower lash line for a pop of color! 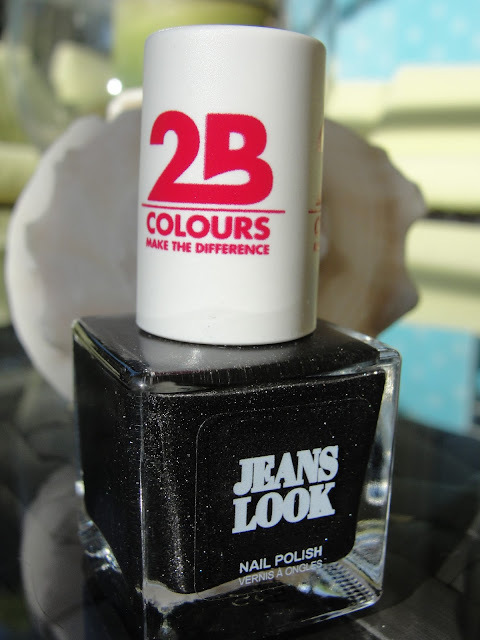 The 2B Colours Jeans Look Nail Polish is my absolute new favorite nail polish! Super edgy! It is matte, with a structure and some glitter! 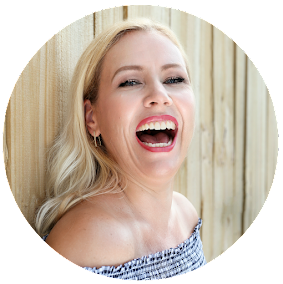 I love it and it is so super chip resistant- it would stay and stay and stay! Just wow! The 2B Colours Mega Colours Nail Polish in Cerise Red is a beautiful red with pink undertones. Very elegant and simply gorgeous! It did chip around the 3rd day but this is usually with reds the case. 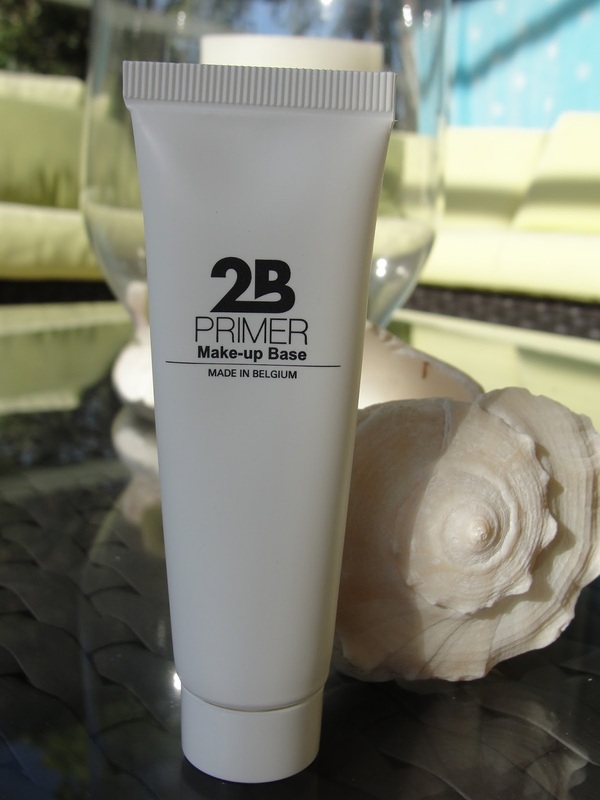 The 2B Colours Primer Make-up Base is a very light weight thin lotion-like primer. It feels very smooth, but: the scent! I could not get over it and did not enjoy it. I´m sorry to say it but is smells like plastic. I can personally not recommend it. 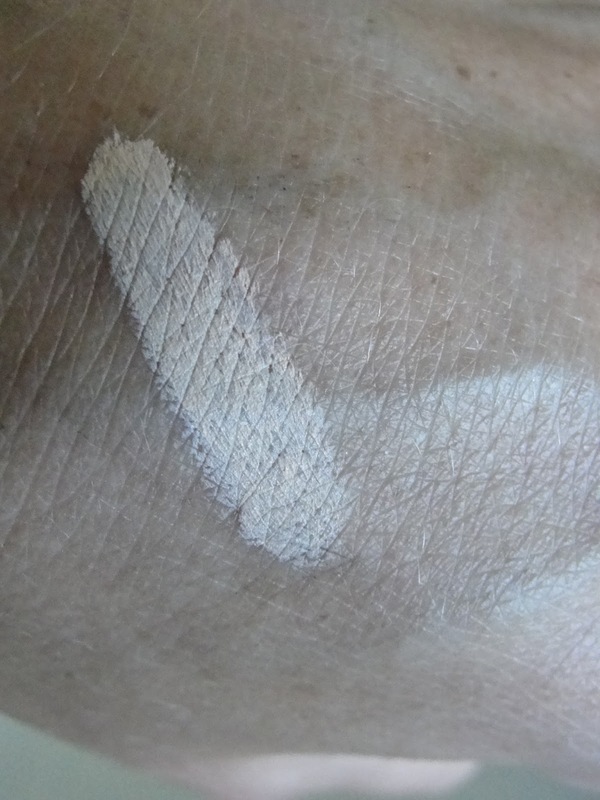 Overall I am very pleased with everything I tried (except the primer) and I think next time you are at Ulta you should go ahed and check out 2B Colours for sure!